Supplies in the Chiliebrown Ice Cave were running low. That can only mean one thing; Meat Adventure. The Racing Honda was fueled with rocket fuel to make our journey fast and furious. We made three stops at quality small butchers. 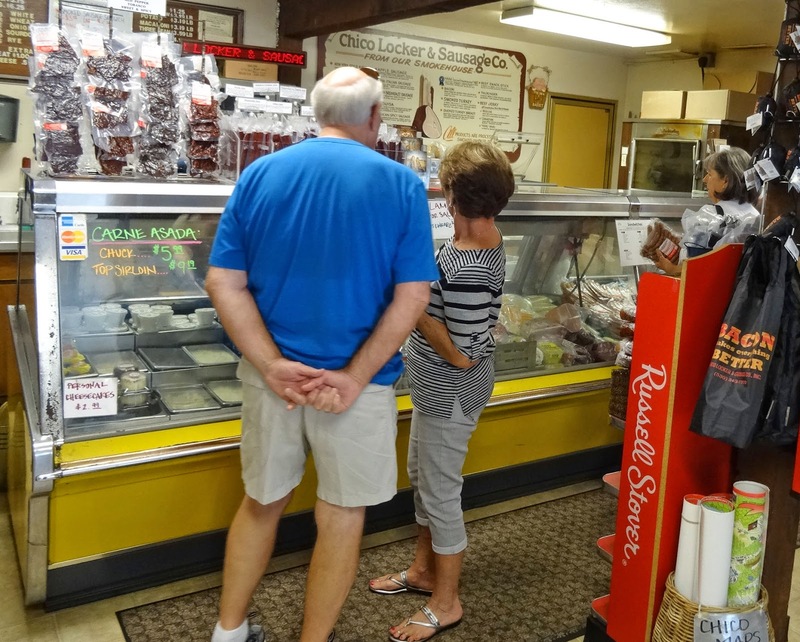 Country Butcher and Chico Meat Labs were two familiar stops but a new destination of Chico Locker & Sausage was added to the itinerary. I had a hot tip of great beef ribs at the Chico Meat Locker. Chico is several hours away so we made an early departure. We were not on a budget but we do limit ourselves to one ice chest. This is my only attempt at restraint. If I had my way we would rent a refrigerated semi truck to bring back our bounty. Ms. Goofy start your engine. Our first stop was Olivehurst California to the Country Butcher. This is a small local butcher. The shop is well worn but welcoming. Stuffed pork chops and sliced bacon was the first addition Jalapeno cheese sausage was a must have item. This was the foundation of building the limited space in our portable ice cave. U.C. 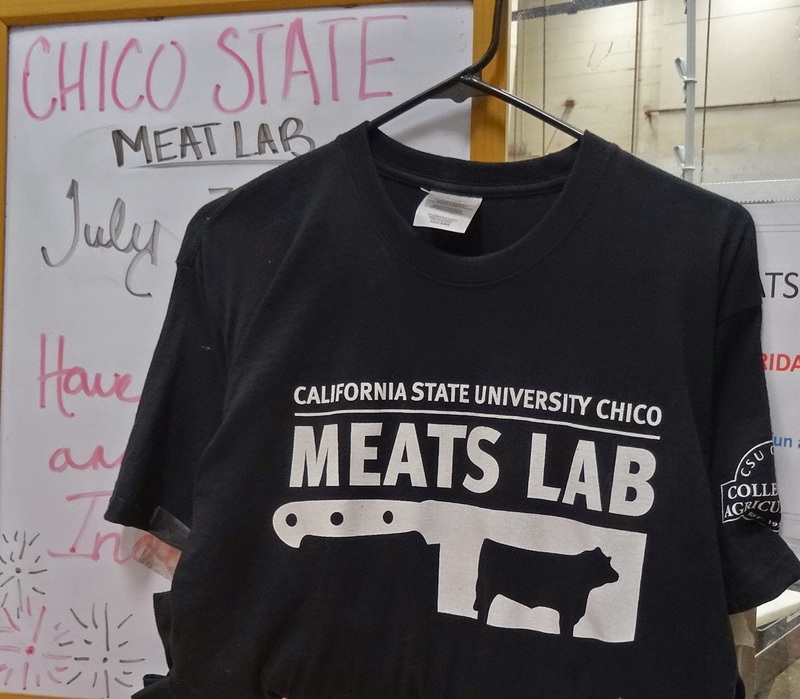 Chico Agriculture department runs a meat market on Thursdays and Friday's for several hours. This is a secret to the local populace. It is not really a secret but a wonderful place to buy top quality meat at bargain prices. There is not a lot to the actual market. You go into the lab and place your order through a window. The clerk goes into the freezer and fills your order. What she brings back will make any carnivore swoon with meaty delight. We bought a little of everything except bacon. Apparently bacon is a hot commodity. Man, I wish I had brought another ice chest. 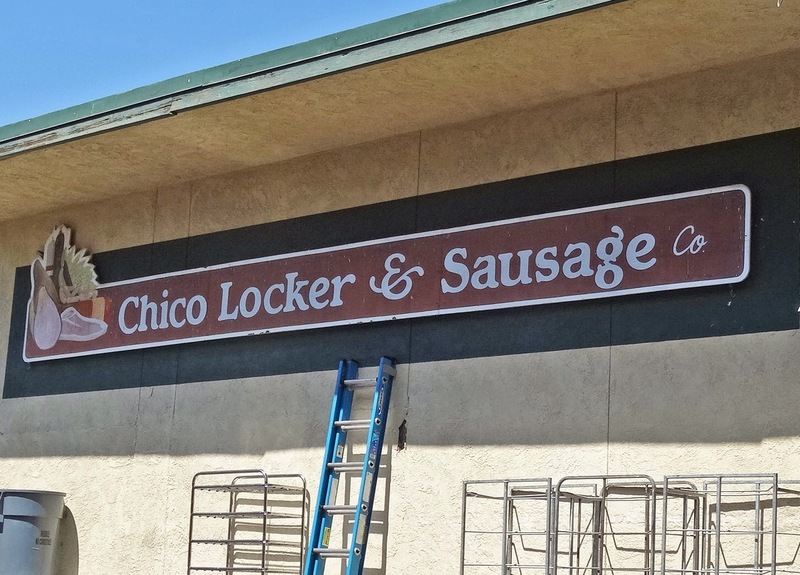 Chico Locker & Sausage is located in downtown Chico. It is a very popular store. Outside is a huge loading dock to unload future meat products. Several barbeques are smoking away meats for lunchtime. Inside there are many people purchasing lunch and meat. So many choices and so little room. 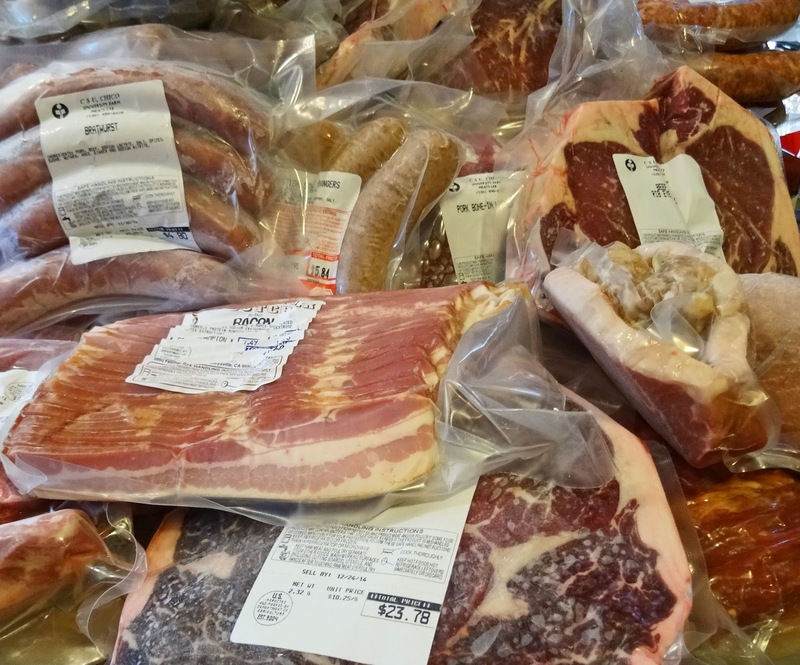 We bought steaks, sausages and some great looking slab bacon. (Bacon Revue in the near future). Ms. Goofy dragged me out of the store because I was drooling uncontrollably and she wanted lunch. We had a great lunch at the Sierra Nevada Brewery. 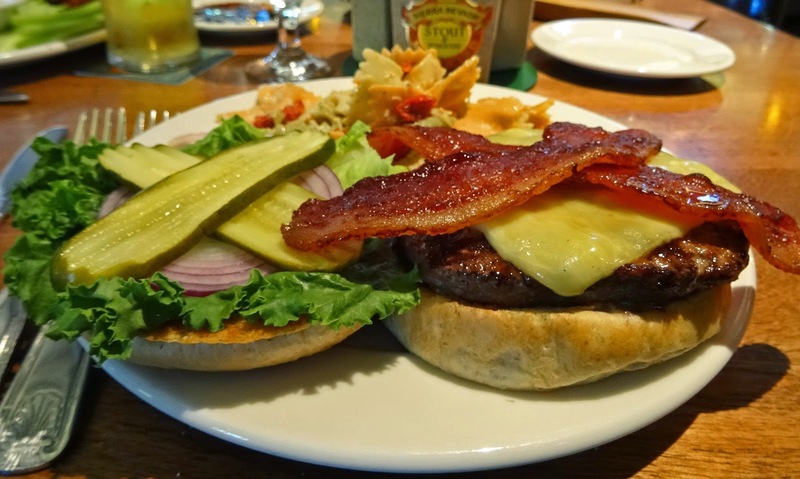 This bacon burger did not disappoint. During lunch I realized we did not get beef ribs from Chico Locker & Sausage. We had to go back. There was no room in the ice chest. I did the only thing I could do and removed some of the ice. The frozen meat would keep our bounty safe for the journey home. We did get our tibs and they were spectacular. Some low and slow smoke made them worth the trip. Next time we will rent that refrigerated semi-turck. And awwwayyyyy we go! Glad you had fun. Zoomie, We have a lot of great meals ahead. Quality meat is worth the effort. You give new meaning to the phrase "where's the beef?" This post is further proof that vegetarians are booger eating morons. I had a comment to leave behind but now all I can do is laugh at Greg and Three Dogs BBQ. Greg, Do you still have black iron fever? I still want to get a tall waffle iron. 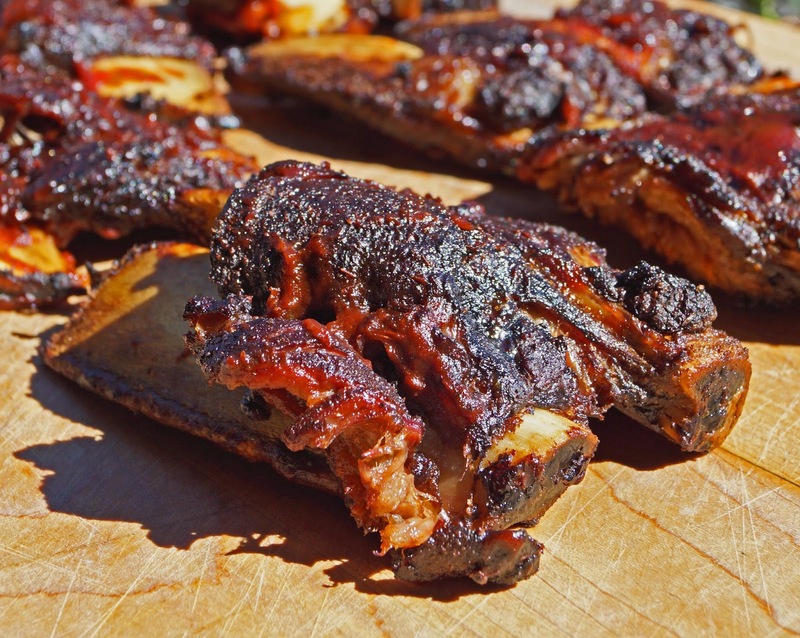 Beef ribs rule! Three Dogs BBQ, I am trying to not throw in a booger reference. Chris, How does it feel to be a published author? I want to get an autographed copy from you. CB - I do, still use the stuff every day.